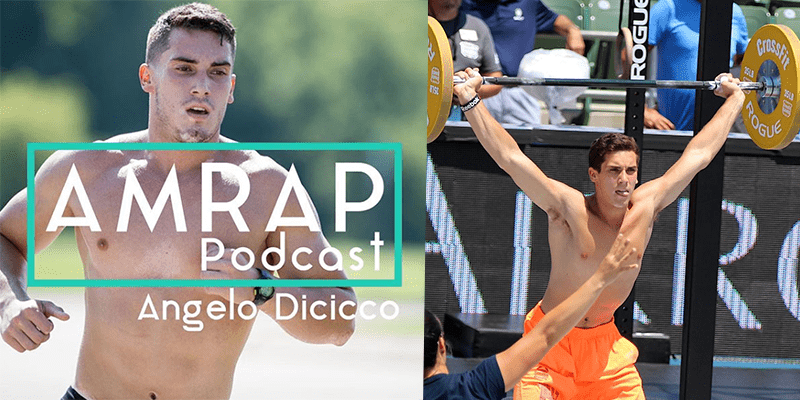 2-time Fittest Teen on Earth Angelo Dicicco opens up in an interview with AMRAP Podcast host Will Edmonds about the diagnosis that effectively ended his competitive CrossFit career. Having won the 14-15 category at the 2015 Games, then the 16-17’s at the 2017 Games, Dicicco was on track to become one of the sports’ greats. Growing up minutes from Rich Froning in Cookeville, Tennessee, Dicicco was perfectly placed to take his game to the next level, training day in day out with the best CrossFit athletes in the world. As much as I would like to jump on to Instagram and brag about myself and my performance this weekend. I would much rather turn the spotlight towards my friends for there amazing accomplishments this year. First, @crossfitmayhemfreedom for further solidifying themselves as one of the best teams to get together and compete at the games. And also @sarasigmunds for being the best training partner I could ask for leading up to the games and for the amazing consistency that you had all weekend. You should all be thoroughly impressed with your performances. THANK YOU to everyone who made this third and last year as a teen the best one. Time to see what the next year holds. But a diagnosis of Degenerative Disc Disease meant that his days of lifting heavy weights competitively were effectively over. Here’s one worth giving a try 3 rounds 21 calorie assault bike 14 PHSPU (45 and Abmat under head) 7 Bar Muscle Ups Let me know how it goes if you tackle it! Dicicco is now studying in college and coaching at CrossFit Mayhem, while continuing to train regularly. You can listen to the entire conversation by searching for “AMRAP Podcast” wherever you get your podcasts.